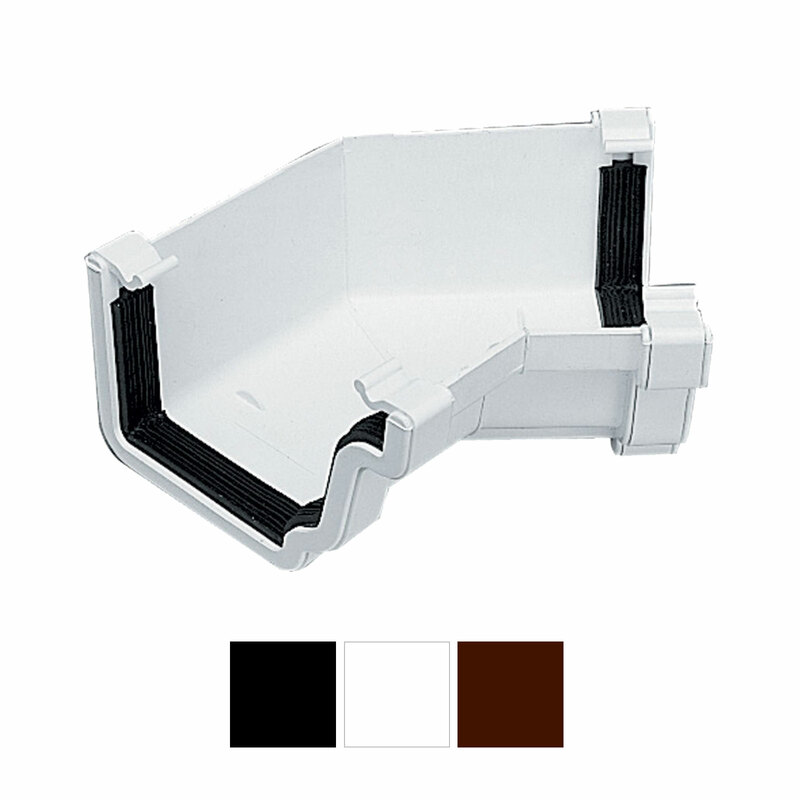 Product information "Marshall Tufflex RWKA5 135° Internal Gutter Corner"
Highly aesthetic and highly efficient! 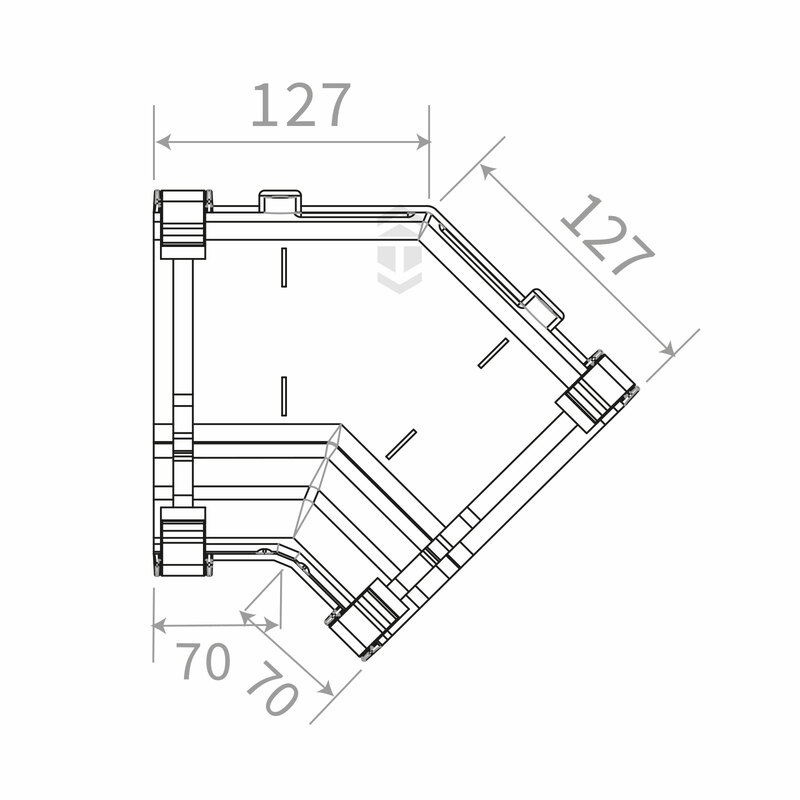 Angle joint for connecting ogee gutter at the 135° internal corner usually found where faceted bays run return across house. Part of Marshall Tufflex Universal Plus system. At 128mm wide and 88mm deep, this gutter system can handle plenty of rainwater and has a special outlet design that allows use of both round or square downpipe fittings. 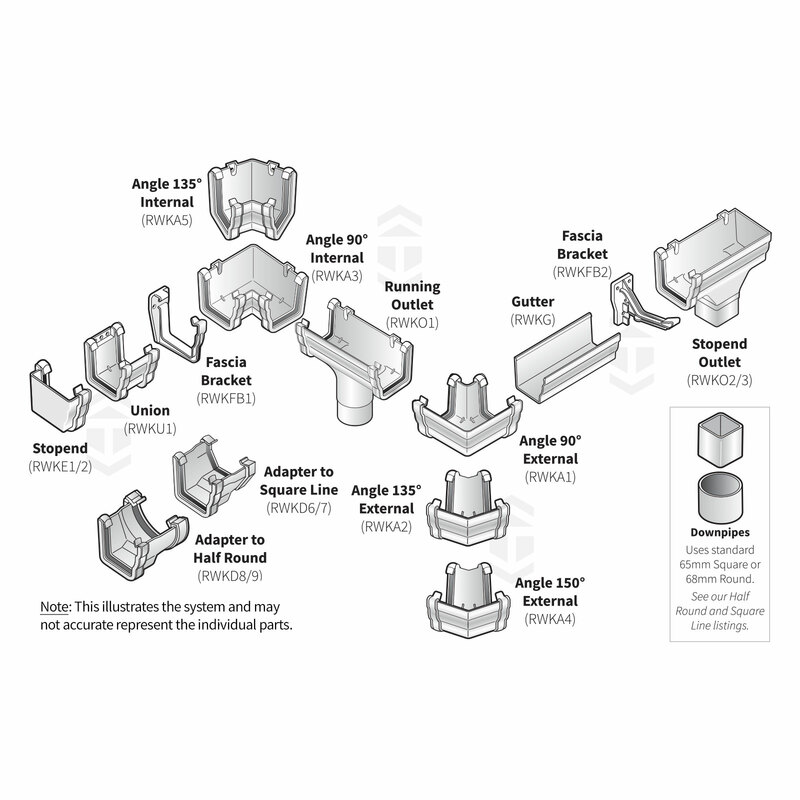 We offer square and round downpipe components on a separate listing. COMPATIBILITY There are numerous gutter systems that have an ogee profile, which although similar, are not compatible. If adding to an existing ogee system, be certain to check that the existing is also Marshall Tufflex Universal Plus. The following provides information about this ogee profile gutter system. Related links to "Marshall Tufflex RWKA5 135° Internal Gutter Corner"
Customer review for "Marshall Tufflex RWKA5 135° Internal Gutter Corner"